New Delhi, Oct 31 (IANS) A court here on Tuesday adjourned hearing in the disproportionate assets case against Himachal Pradesh Chief Minister Virbhadra Singh and his wife Pratibha Singh to November 30. Special Judge Virender Kumar Goyal allowed the plea of Virbhadra Singh and his wife seeking exemption from personal appearance for a day. Virbhadra Singh also moved an application seeking permanent exemption from personal appearance which will be heard on the next date. The Central Bureau of Investigation (CBI) has charge-sheeted Virbhadra Singh, alleging the Chief Minister was in possession of assets worth nearly Rs 10.5 crore in his own name as well as in the names of his family members. Apart from Virbhadra Singh and his wife, the CBI also chargesheeted Life Insurance Corporation (LIC) agent Anand Chauhan and his associates Chunni Lal, Joginder Singh Ghalta, Prem Raj, Lawan Kumar Roach, Vakamullah Chandrashekhar and Ram Prakash Bhatia. It was alleged that between May 28, 2009 and June 26, 2012, Virbhadra Singh, as the Union Minister of Steel and Micro, Small and Medium Enterprises, committed the criminal misconduct. His wife and other accused allegedly abetted the offence by investing his money in the names of his family members. Pratibha Singh has been accused of intentionally and actively abetting Virbhadra Singh in “investing his ill-gotten and unaccounted money in her and their children’s names”. In another case being probed by the Enforcement Directorate (ED), the court extended the judicial custody of LIC agent Anand Chauhan, accused of laundering Virbhadra Singh’s disproportionate assets till November 15. 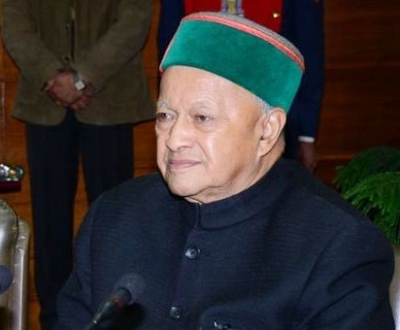 The ED had earlier filed a charge-sheet against the LIC agent and accused him of investing Virbhadra Singh’s ill-gotten Rs 5.14 crore in LIC policies purchased in Virbhadra’s name and those of his family members, including wife Pratibha Singh. The ED booked him under the Prevention of Money Laundering Act (PMLA).